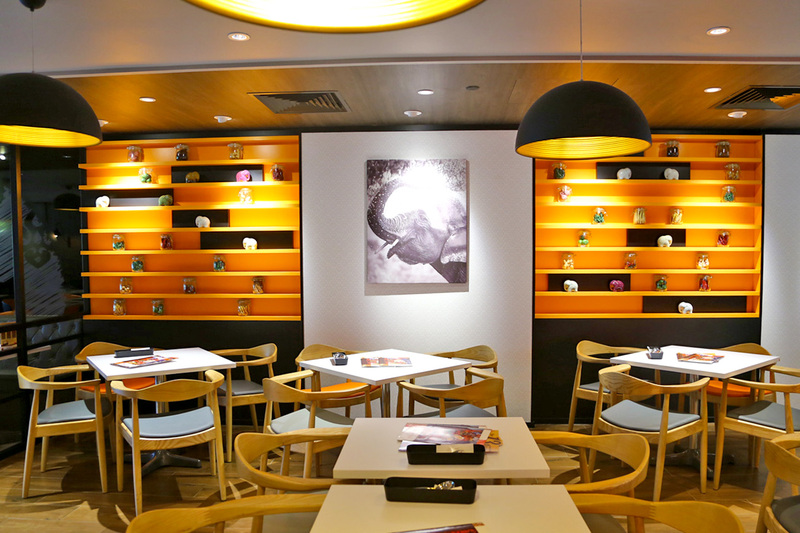 ThaiExpress – New Look, New Dishes, New Orange Card That Can Win You Trips To Thailand! 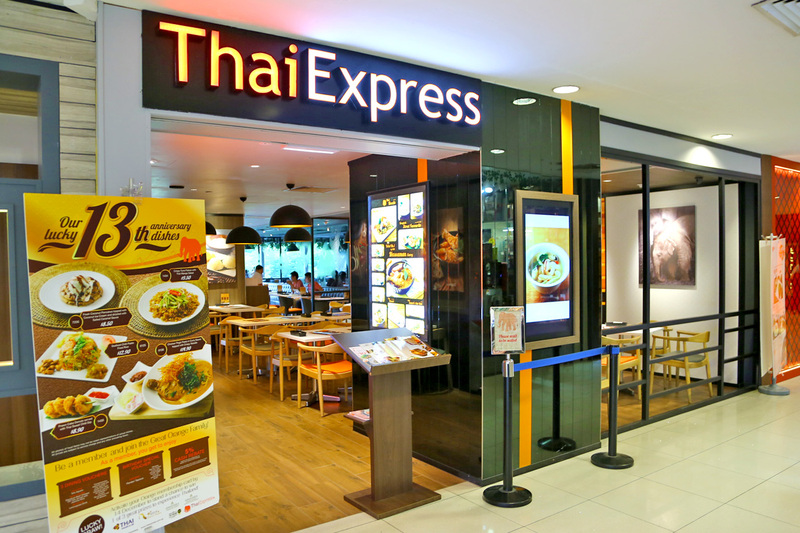 Do you remember that the 1st outlet of ThaiExpress is at Holland Village? That was way back in 2002. 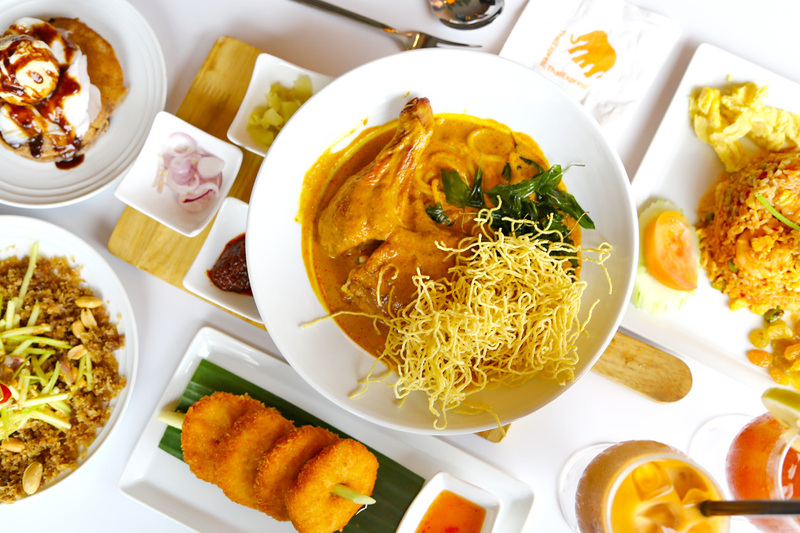 ThaiExpress which has become a household name, is celebrating its 13 years of establishment in Singapore with introduction of new dishes, and relaunch of the familiar Orange Card. 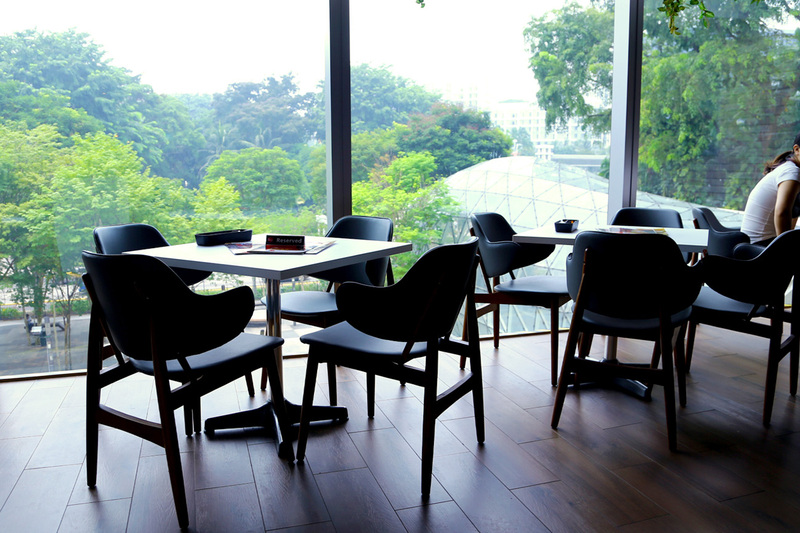 As we were early, we immediately picked the seats by the window, providing a view of Orchard Road, with natural light gently seeping in. Among the new dishes, this was my favourite, plus the portion was large for its price. 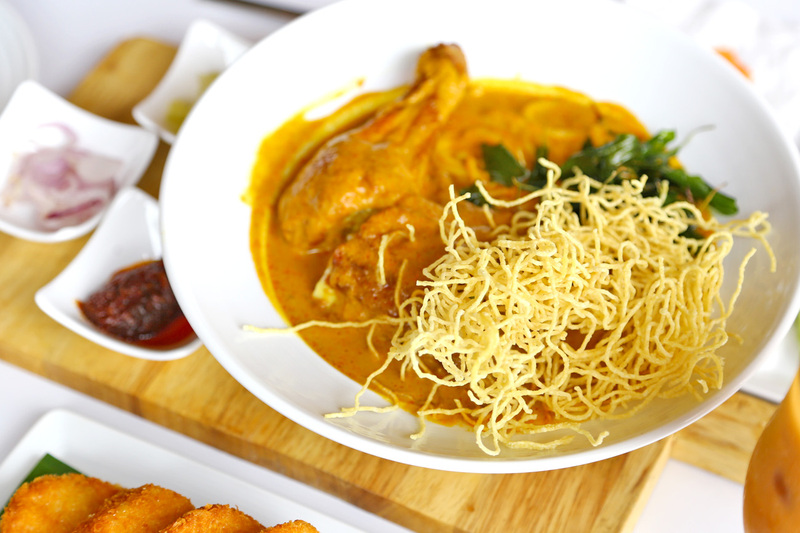 The yellow curry base had a good consistency – neither too creamy nor diluted, that you may just be tempted to just finish up the gravy. The taste leaned more towards the sweet curry category rather the spicy. Actually, I didn’t know ThaiExpress served pasta dishes till then, and was intrigued to see two types of noodles in the same dish. The combination somehow worked: the crispy noodles added some crumbly textures; while the pasta turned out to be a decent match with the curry gravy. 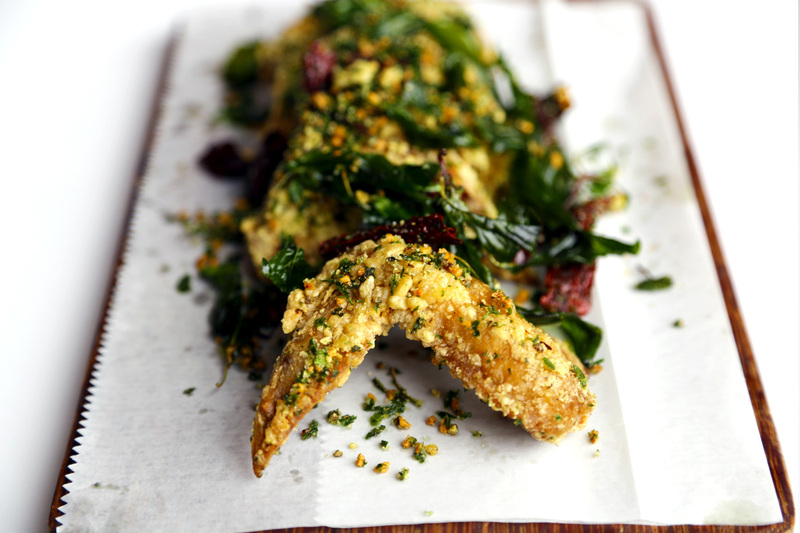 Add a tender chicken thigh, and it makes a dish packed with varied flavours. The Tod Mun Goong Thai Prawn Cake is my regular order for a starter for deep fried comfort food with juicy succulence. ThaiExpress’ version has a slight twist. They call this the ‘donut’. 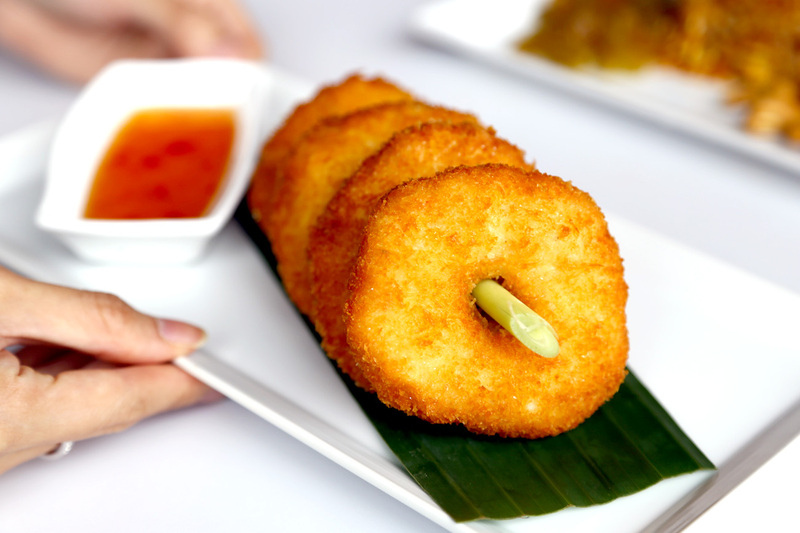 The prawn cakes each had a hole in the middle, presented like a ring across a stalk of lemon grass, with sweet chilli sauce for dips on the side. When compared to the usual version, the ‘donuts’ were fatter and thus had a thicker bite. One of ThaiExpress’ best-selling main dish is the Tom Yum Fried Rice, and I reckon this new dish could make some respectable competition. 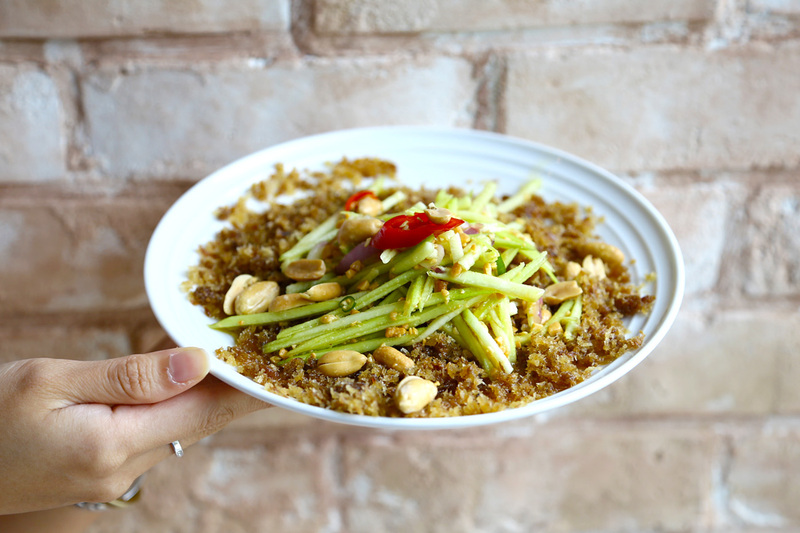 Compared to the former, the Chilli Paste Fried Rice had a sweeter-spicy slant, and we like how the rice was fried to be even and eggy. 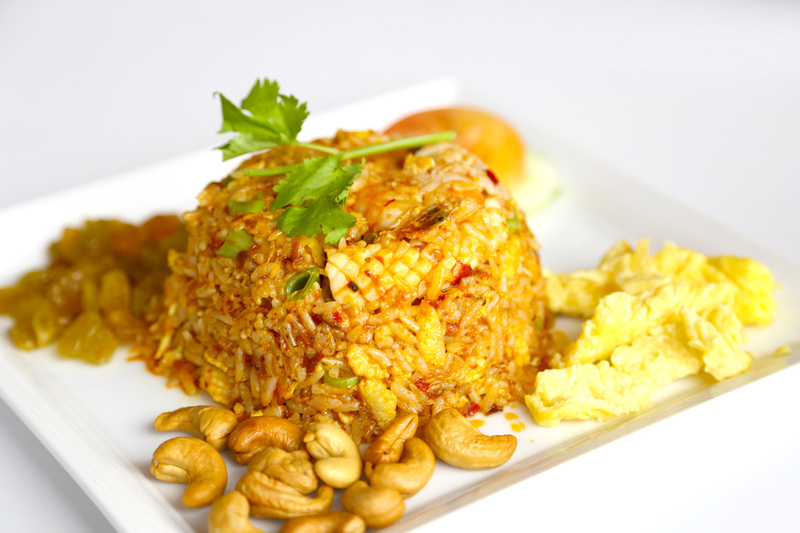 You can choose to eat the rice on its own, or mix in the accompanying cashew nuts, raisins and fried egg for more chew. Surprised to find this dish here, which I have seen in some Thai restaurant menus with the name of ‘Yam Pla Duk Fu’ (which kind of means ‘fluffy fish salad’). In Thailand, catfish is quite commonly used as the key ingredient. This starter consist of a crispy nest of tuna flakes as a base (which my friend described as tasting like dried shrimps), topped with zesty-spicy (though not very) strips of Thai green mango. 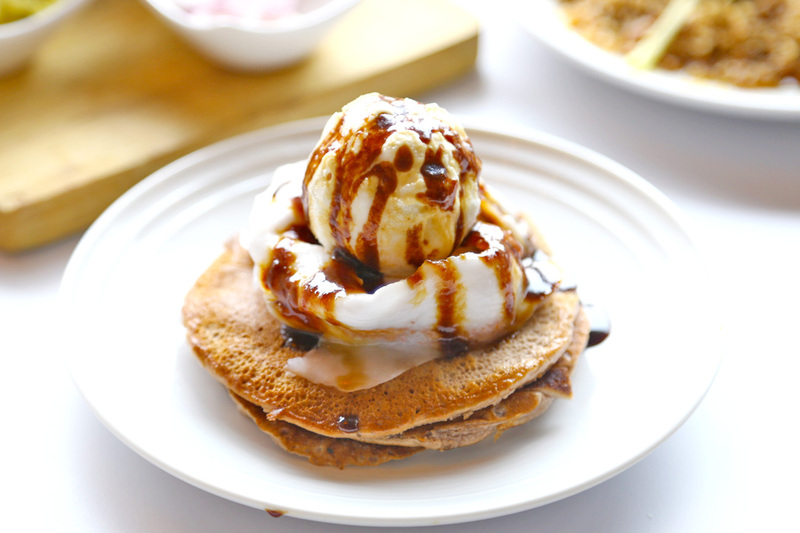 There is a lot going on in this dessert – pancakes topped with fresh coconut flesh, coconut ice cream, and drizzled with salted caramel sauce . I wished the cakes had a fluffier, and less cakey texture. 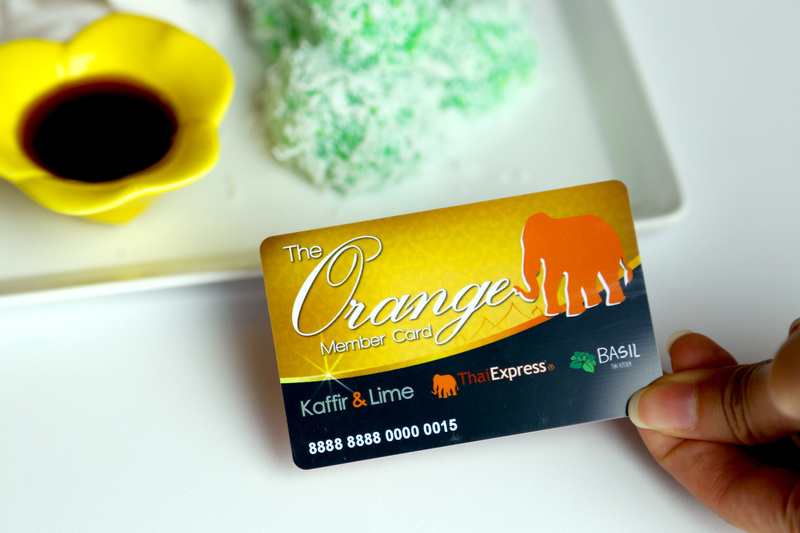 The ThaiExpress Orange Card (I used to own one!) has made a comeback. When you purchase the membership card at $15, you will receive pre-loaded dining vouchers worth more than $30, 5% cash rebate on nett spending to be used next visit, a birthday special voucher to redeem a dessert during the birthday month, and other members’ specials. 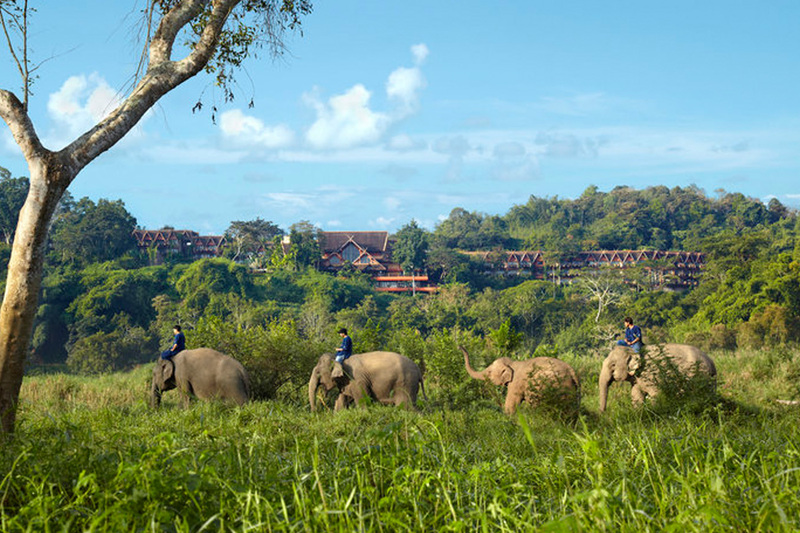 If you purchase and activate the Orange Card by 14th Dec 2015, you will be auto enrolled into a lucky draw to win a chance to experience Thailand in a different way. * This entry is brought to you in partnership with Thai Express. 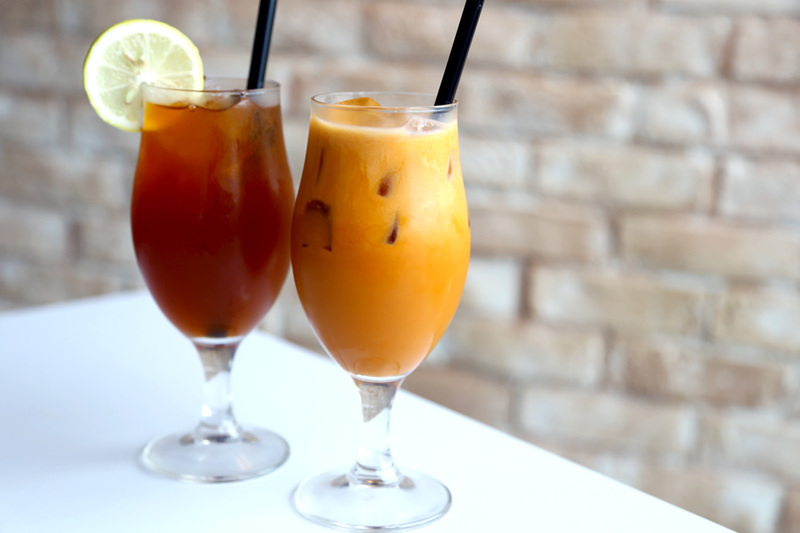 ← Dim Sum Icon – World’s 1st Gudetama Dim Sum Restaurant, Too Kawaii!